Welcome to Tydings Real Estate Co. 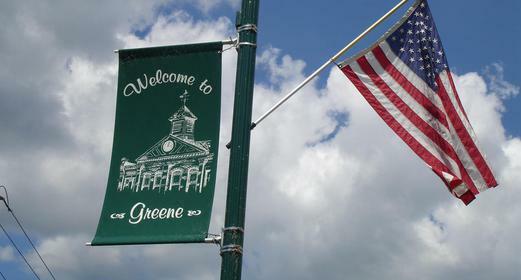 Proudly Serving Greene, NY and Surrounding Areas Since 1945. At Tydings Real Estate Co. we care about our clients and customers. We are a full service Licensed Real Estate Brokerage available to interview for any job. Rentals, Sales, and Referrals. Commercial or Residential. Whether you are looking to buy your first property or sell your third, we know what it takes to get it done. Serving the Greater Greene Area and beyond. Want to know if we service your area? Call us. We are always happy to refer our clients to agents we trust in areas we don't service. We are members of the Greater Binghamton Association of Realtors, Inc., The Multiple Listing Service, The National Association of Realtors, and The New York State Association of Realtors. WE NEED RENTALS​...Looking to rent your property? Short term or long term. We may have your next tenant. Looking to rent a property? Call us. We are the brokerage all others call for rentals. Fees if any are always negotiable. 2011 Grey Wolf 25BH Looking for a mint condition travel trailer? We have a client selling this like new unit. Perfect for that piece of land you just bought or take it on the road. Call for additional details. As a REALTOR®, I support and comply” with Federal, State, and local laws regarding Fair Housing.